The words 'surf pop' are becoming a lot like 'indie'. Thrown around all too often but when you claim to be from Atlantis and produce music as fresh and invigorating as Soda Fabric do that title is more than deserved. 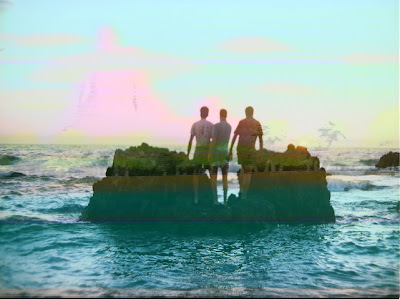 An aquatic harmonization, pushing the boundaries with their hazy vocals and jangly guitars. The underwater answer to Finland's French Films. Be sure to keep your ears and eyes peeled for the bands debut EP 'Tears on the beach' due out soon!